Pressing/steaming drapes can be a daunting task to say the least, however we all know it is an unavoidable step for producing professional looking drapery. Not only does the size of the project pose a problem but also the basic characteristics of the fabric itself. Below you will find five tips that will assist you with taking the fear out of pressing drapes and make the process more efficient while producing fabulous results. If you are a large workroom, you may want to consider investing in a drapery fan-folding device which will fold drapes into a narrow band eliminating unnecessary wrinkling and make transportation easier. 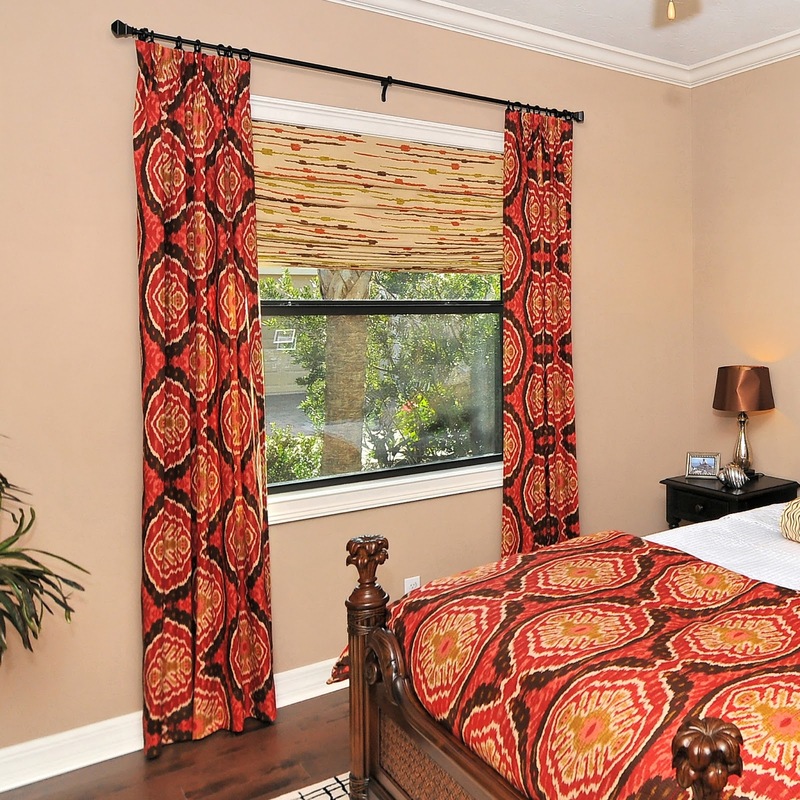 For professional looking drapes it takes a combination of the right equipment and tension. To begin with you will need either a hand held steamer or an iron that produces continuous steam in a vertical position and an extension cord. I prefer a hand held steamer and it is worth the investment. Three of the best hand held steamers are the Rowenta Ultra Steam Model #DR5052, Ingenious Designs, My Little Steamer Model #NE244 and the Jiffy Esteam hand held professional steamer #26127. Before you begin, make sure to test the steamer on a corner of the drapery. (If using an iron, the surface of the iron should never come in contact with the fabric or more importantly any insulated backing). Every workroom should have either a curtain rod attached to a wall or a free hanging curtain rod hanging from large chains attached to the ceiling. This rod should have several clip curtain rings in place so each drape can be temporally hung for steaming. I realize that delivering them without wrinkling is a whole other issue but I will save that for another article. Pressing should always be done in conjunction with the sewing. Especially when dealing with several yards of fabric. This will give each seam the attention it needs providing a crisp professional look. During the steaming, it can be extremely helpful, if not essential to have your assistant apply gentle downward tension on the bottom hem of the drape with both hands, holding the tension on the fabric, a few minutes or until the steamed section cools. This technique can be done either in the workroom or after the draperies have been professionally installed. Start at the top left corner of the drape, with your assistant holding tension along the bottom, and steam down toward the hem in one fluid motion. Work with one 6”- 8” section at a time. It is important that the assistant keeps tension on this section until it is completely cooled. Move to the next section and continue working across the width of the curtain. To train a fold in the drape, open the drapes to the maximum width and again working from left side across fold pleats across the bottom matching the folds to the pleat/folds across the top. Place either a clothes pin or straight pin to hold the fold in place. The distance between the folds along the bottom should be a consistent measurement across the bottom hem. Continue to pinch and stack the folds across the bottom. When complete, use a piece of ribbon and loosely tie to tie around the top of the drapery about 8” from the top of the drape and 8” up from the bottom of the drape. Remove the clothes pins/straight pins from the bottom At this point you may want to tug along the bottom hem to set the folds in place. Smooth all folds and apply one final application of steam. Let the drapes set for at least 24 hours. At Greenhouse we are inspired, focused, and passionate about introducing New Sample books and New Showroom Fabrics online to you every month. Give us a call and you will hear our customer and Fabric Specialists simile on the phone while helping you find the right fabric fabrics, in the right color at the right price.